With the growing health concern and risk involved with the toxic substance of fentanyl, we have shifted our focus and now specialize in Illicit Fentanyl Decontamination and Neutralization. 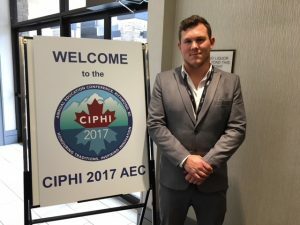 We are now the leading experts in fentanyl remediation in Canada. Having successfully remediated numerous Fentanyl labs, including the largest lab in Canadian history. With that being said, our reason for doing this presentation is to share our experience and knowledge and to hopefully avoid anyone from becoming a victim. 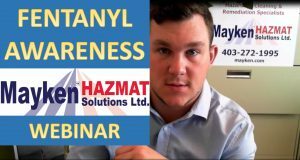 Fentanyl Awareness and Information presentations are geared towards anyone entering unknown properties but can be tailored for any organization, group or workplace. They are designed to be Educational, Informative and Interesting. To date, we have shared our experiences with many associations and organizations. If you believe you could benefit from this information, please respond to this email, or call 403-272-1995 ext. 2 for more information. We are in the process of scheduling seminar dates, venues, etc. and would like to accommodate all your members wanting to attend. 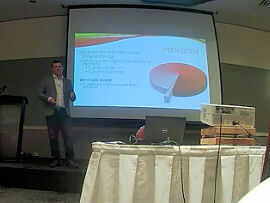 Learn how to protect you, your employees, your family and your property by booking a presentation today. Book an Educational Fentanyl Awareness Presentation in your area TODAY! 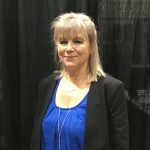 What is Fentanyl/The Growing Risk to Public. How to detect fentanyl when entering or inspecting a property. What should I look for? What are the risks and potential dangers? What to do if you discover a fentanyl lab or processing center? how to protect yourself and your property from becoming a victim. Look inside a Fentanyl lab with actual photos and video. Identify the guidelines to remediate and make the property habitable again. Excellent Presentation! Thanks for the Education!! !